Grid couplings are a popular coupling option where both high torque levels and dampening requirements exist. 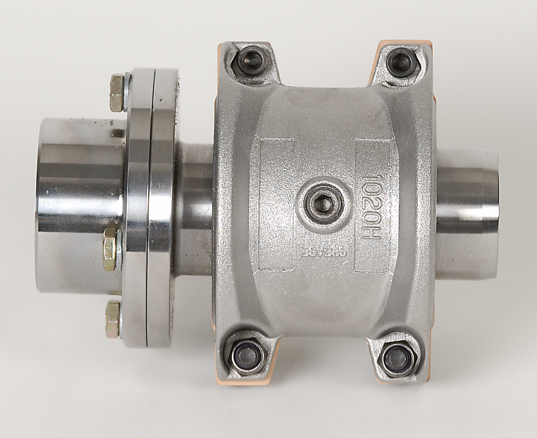 Unlike gear and disc couplings (alternative metallic coupling types capable of transmitting a significant amount of torque), grid couplings have a unique ability to reduces vibration by as much as 30%, and cushions shock loads to safeguard driving and driven power transmission equipment. 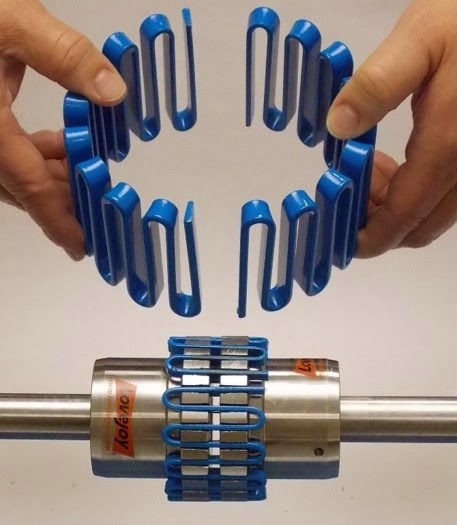 The grid spring element absorbs impact energy by spreading it out over time, and thus reduces the magnitude of the peak loads. This is possible because of the progressive contact that occurs between the curved profile of the hub teeth and the flexible grid. 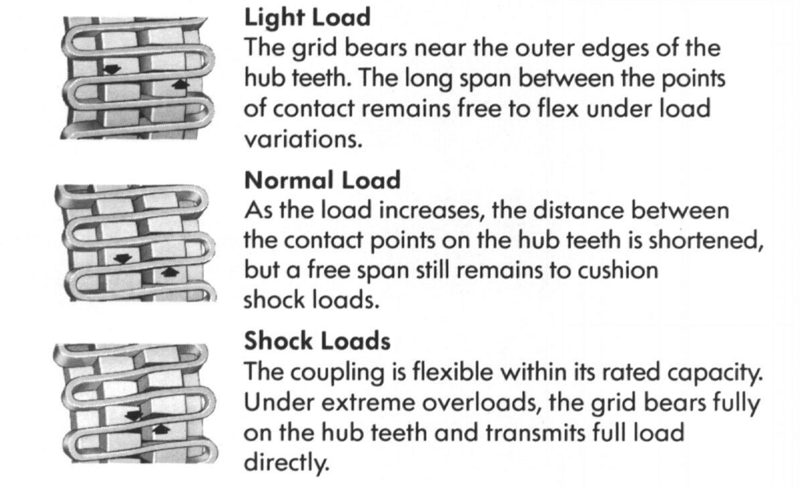 As the load increases, more of the tooth comes into contact with the flexible grid spring element. Grid couplings are a versatile, proven technology with interchangeable components readily available from several major coupling manufacturers (including Lovejoy). Grid couplings have a high power density (transmit a high amount of torque relative to their size), and are relatively straightforward and simple to install. They also have good resistance to environmental conditions, and available for both inch and metric bores. 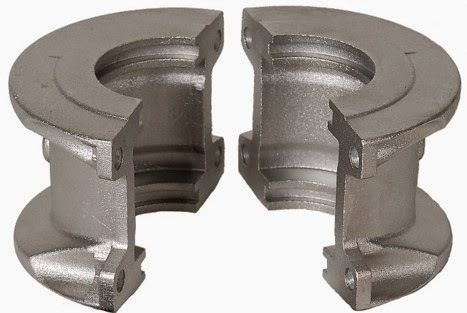 A grid coupling is comprised of two hubs, a grid spring element, and split cover kit (which includes two cover halves, gaskets, seals, and hardware). 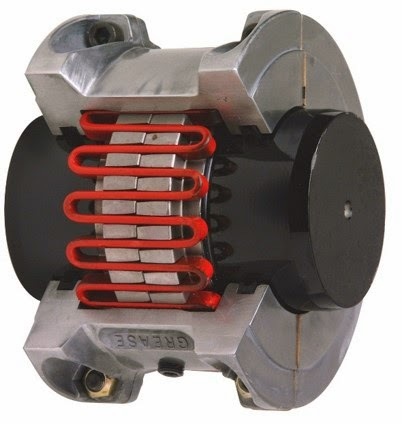 Grid couplings are available with either a horizontal or vertical split cover design. Horizontal covers are generally viewed as easier to install, while vertical covers enable a grid coupling to be run at a higher maximum speed (see What is the difference between Horizontal and Vertical Grid Couplings?). Grid couplings are also available in a spacer and half spacer designs, which are ideal for allowing equipment to be serviced. Such designs are particularly popular in pump applications, where a drop-out section (full spacer design) or quick disconnect (half spacer design) allows for equipment servicing without disrupting the greased grid coupling element. One of the biggest, if not the biggest, limitation of grid couplings is their limited ability to accommodate misalignment. While great at dampening vibration, they are not designed to handle parallel shaft misalignment and only designed to handle about a half a degree of angular misalignment (see How sensitive are Grid Couplings to misalignment?). 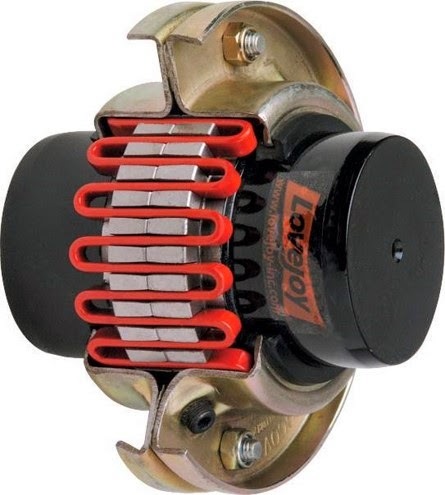 Additionally, grid couplings are also not "maintenance-free" because they require lubrication (grease), which must be periodically checked and topped off if required. Care must also be taken to ensure that lubrication does not leak on to the ground and create an environmental concern. 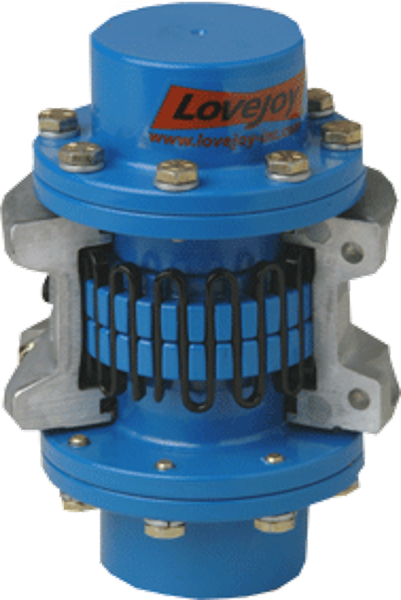 For further information on grid couplings, please see Lovejoy's grid coupling product page.